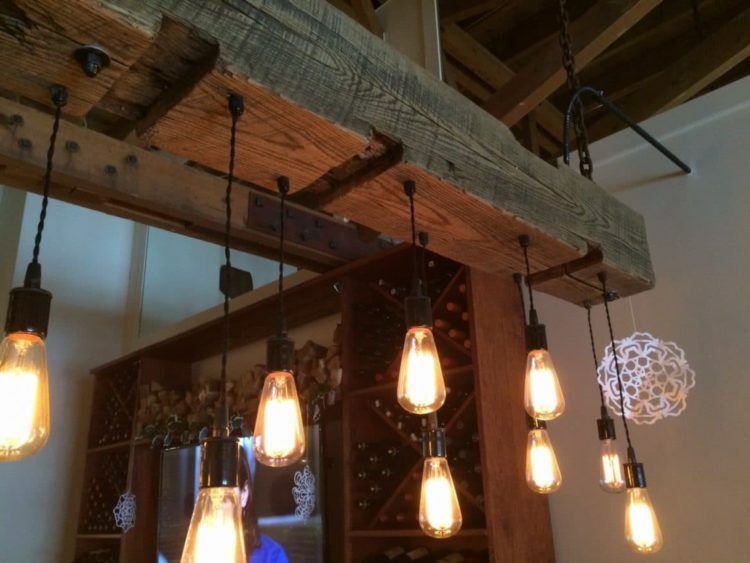 Recycle a wood beam into a reclaimed wood light fixture for your farmhouse lighting, home, bar, restaurant… 100year old reclaimed wood beam gives a rustic look to modern lighting. 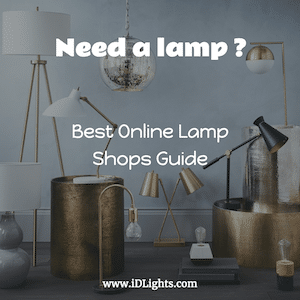 Whether using barn beams, planks, cloth wire, Edison light bulbs, perfect lighting for beams, old buckets, metal cages, mason jars, any combination or something completely different, customize a light fixture that will be perfect for your space. 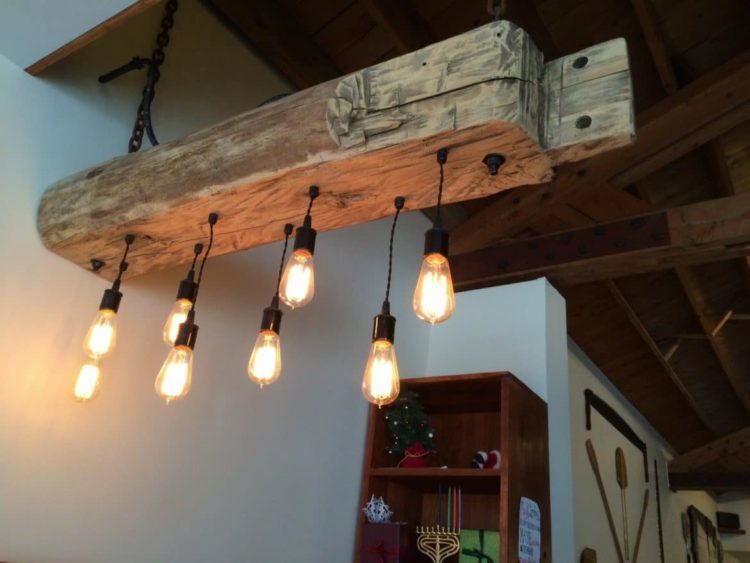 Reclaimed wood light fixture typically ranges in price from $500-900. 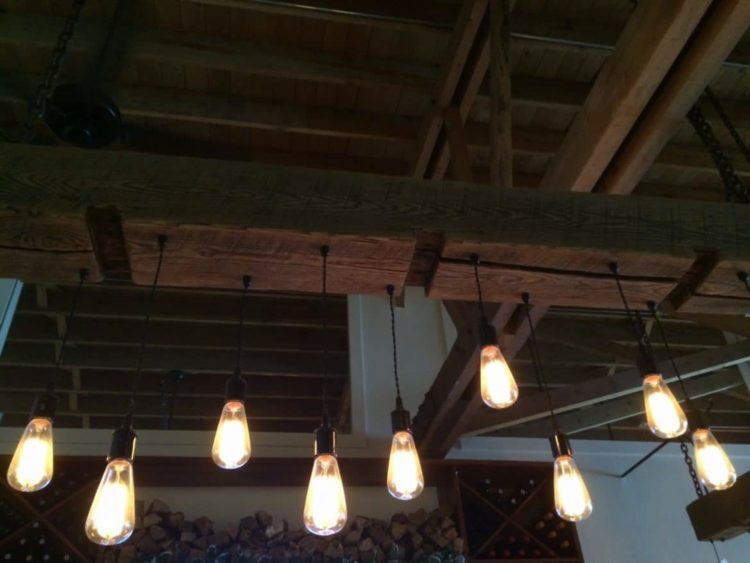 Contact 7M Woodworking to create your own pendant lighting chandelier that looks similar to the shown light fixtures.